We have developed a list of venues that have space to hire in Medway. If you want to add one please comment at the bottom of the page. Hi Gemma, the space is not for general community to hire as it is for gigs, rehearsals and recording. 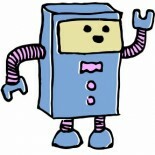 I am going to do a separate article about the space on Creatabot very soon – hopefully today! We love Riverside One!